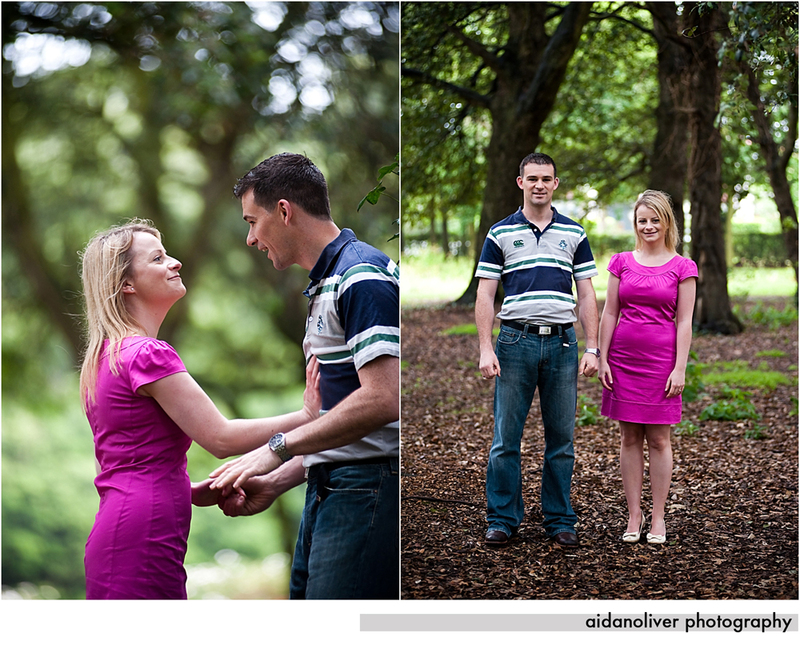 More engagement shoots this summer and Sarah and Billy's July shoot was undertaken in the rain which was not ideal but we did our best to ensure that we covered as much of the shoot as possible in the shelter, ie, under tree cover, and also with the help of the trusty umbrella (a number of which I carry along for the inevitable Irish weather). 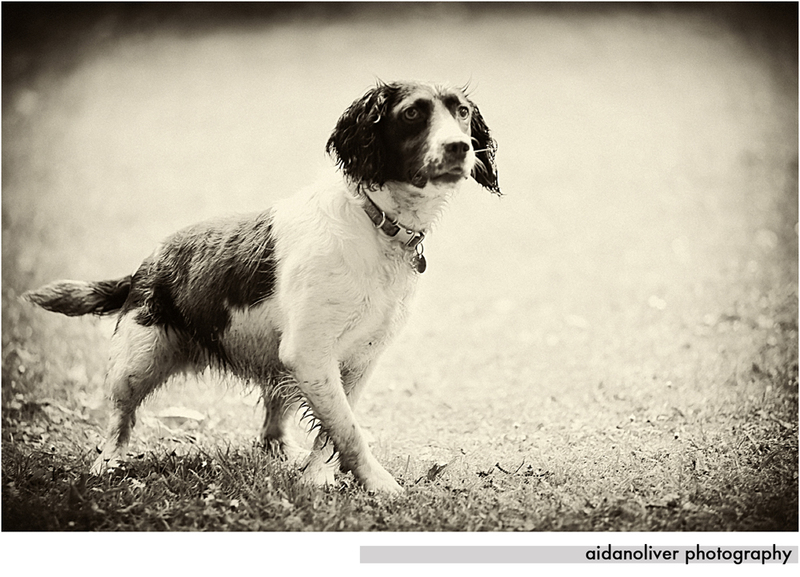 The photoshoot was undertaken early morn in St Anne's Park in Raheny, a short stroll from the James Larkin coast road. I was after shooting a wedding the day before in Kilkenny and we had decided that evening to go ahead pending Met Eireann's 'wet finger in the sky' forecast and all appeared well until a half an hour into the shoot and the the rain appeared!. So fiddlesticks and all the rest, we carried on, and to be honest it turned out well, Billy's wet dog adding some character to the shoot - he seemed to have delighted in the whole affair!. The shot taken which looks like a foggy background, was actual heavy misty rain and it is one of my favourites of the day as was a second shot of the railing taken with dripping rain. Of particular interest was the rose garden which was part of St. Anne’s Park Rose Festival 2011 which was held a week later in St. Anne’s Park, Raheny on Saturday 16th & Sunday 17th July, 2011. The colors of the roses added a lively palette to the shoot, further enhanced by the diffused light of early morning. Four hours later I was photographing Neil Delamere on the river Liffey for his new show "The Only Viking In The Village", which will be aired in a few months time - the weather could not have been more amiable. A busy but enjoyable two days of action packed photography. We thank Sarah and Billy for being so easy to work with and we so look forward to photographing their wedding next year!.